Pet owners or animal lovers would know that animals, like humans, have emotions too. Often than not, they have their own fears, stress, traumas and griefs too. And such negative emotions when left untended for a prolonged period will cause animals to display behavioural issues, and even develop sickness. Animals, on the other hand, have less emotional baggage than humans. 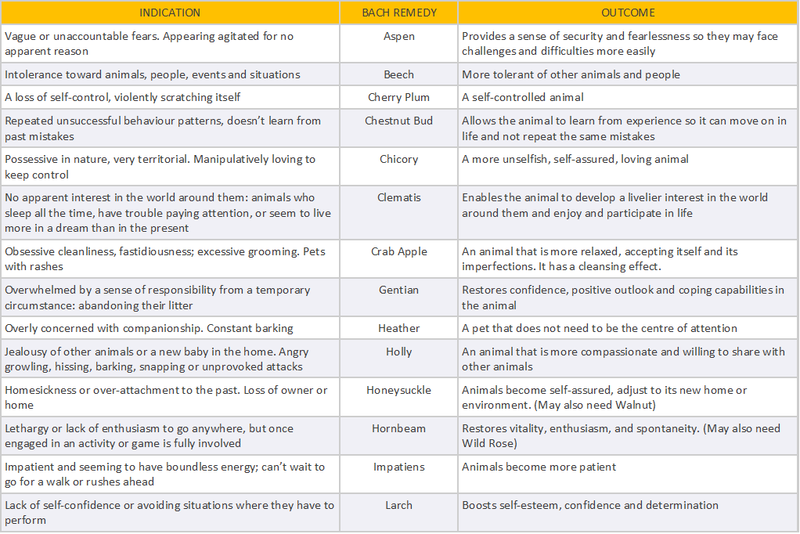 And that is why animals respond faster than humans to the healing effect of Bach Flower Remedies. ​Help your pets to overcome their negative emotions or behavioural issues, or better cope with sickness with Bach Flower Remedies. Bach Flower Remedies have been proven safe and effective over 80 years. This is the healing gift from simple nature for all earthlings - man and animals. 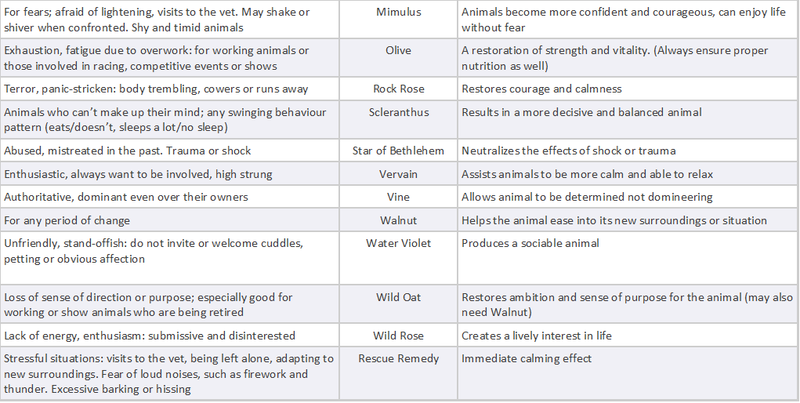 Here are some of the common Bach Flower Remedies and their indications for animals' emotions. If you need further advice or help to select the appropriate Bach Flower Remedies for your pets or animals, click here to find out more. Joanne (Bach Foundation Registered Practitioner and Animal Communicator) will use animal communication skills to help animal clients to identify their emotional states that may have become out of balance. Appropriate Bach Flower Remedies will be selected according to the emotional needs to make the customized Bach Flower Remedies mixture. Outcome? Happier animals! The consultation fee is 'Pay-as-you-wish' so that anyone regardless of their financial status may bring forth their furkids for emotion healing. Every earthling should have a chance for a happier and more blissful life. 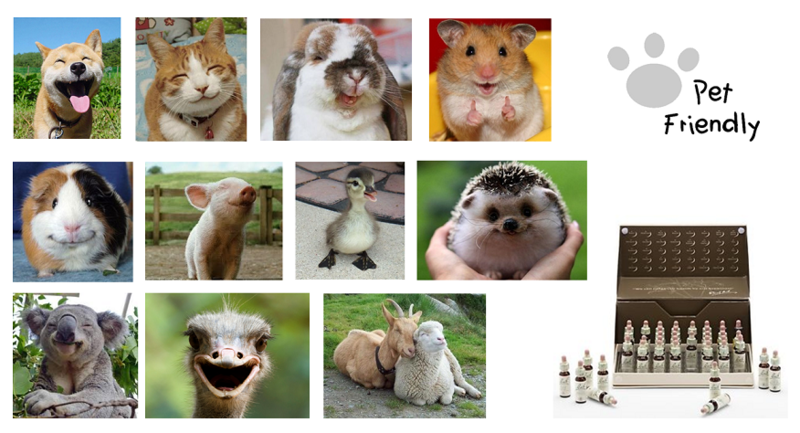 Follow us on "Happier Animals With Bach Flower Remedies"